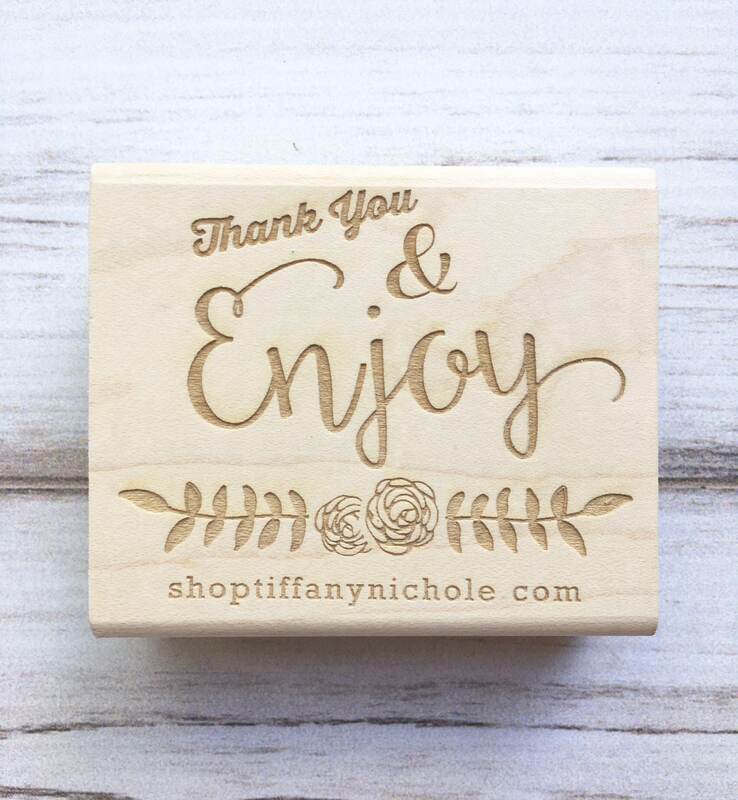 This "thank you" custom rubber stamp beautifies your packaging, tags, or note cards! Personalize the last line with your website, business name, first and last name, or any text of your choice. 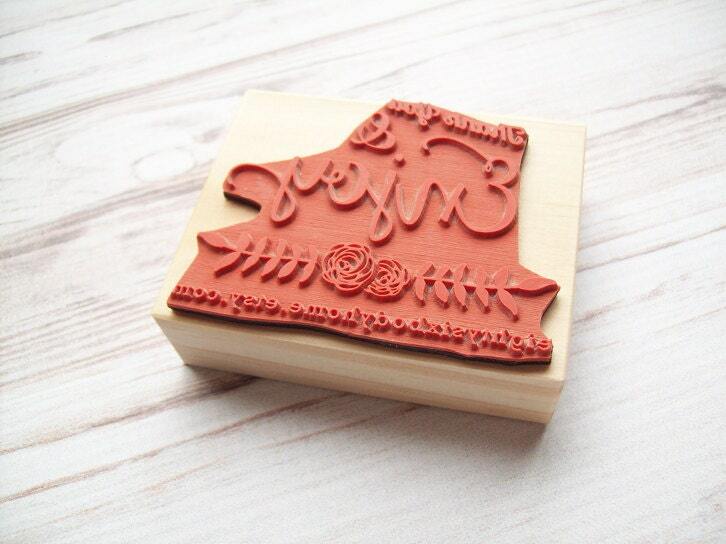 Imprint measures 2.5 inches wide (6.3 cm) and 2 inches tall (5 cm). (Resizing is available; please request ahead of time for a custom listing).